In conjunction with Singapore Art Week 2019, The Private Museum will be displaying Of Dreams and Contemplation, a collection of gallerist Richard Koh’s very own personal collection. The founder of Richard Koh Fine Art (RKFA) is constantly surrounded by a whole range of paintings and sculptures in myriad colours, textures and forms, yet in contrast, his personal art collection reflects a preference for minimalism and mood. Of Dreams and Contemplation features 33 works by artists whom Koh admires as well those whom he represents. Among them are pieces by Chinese artists who are part of the “apartment art” generation including Lin Tianmiao and Huang Rui, who is also the founder of Beijing’s 798 Art District. The show also presents works by contemporary Southeast Asian artists Sopheap Pich, Natee Utarit and Kedsuda Loogthong. The exhibition spans more than two decades, reflecting on a multitude of his ruminations, personalities and interests through the works of 30 artists. Often referred by Koh as “Landscapes of Memory”, each work evokes a specific memory, a tangible reminder of a fleeting moment in his life. 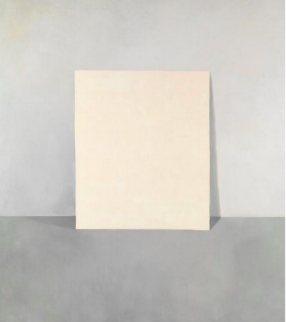 Mostly abstract and monochromatic, the works offer rare insights into Koh’s private contemplations – inviting the viewer to interpret and delve deeper.